Ujuayalogus'sBlog reported that Saraki on Tuesday announced his defection. Speaking on the development, Atiku expressed joy over Saraki’s defection. He further called on the senate President to join PDP. “I received the news that the Senate President, Senator @bukolasaraki, has resigned from the All Progressives Congress, with great joy. “I therefore not only welcome @bukolasaraki’s resignation from the APC, I also urge him to go one step further and join the only party capable of enshrining genuine democracy in Nigeria as well as lasting economic progress. “I urge Senator Saraki to join our great party, the @OfficialPDPNig. 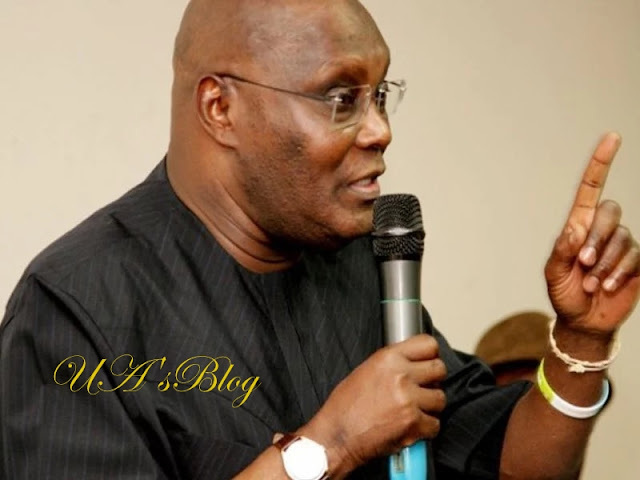 May God bless Nigeria and may God bless the PDP,” Atiku tweeted.